Sometimes, boy meets boy, boy breaks boy’s heart and neither of them really get over it. How do you try to start new relationships when you’re hung up on the past? Visiting London for his first book signing, Marc Romero had a lot on mind. After a shy, attractive doctor asks him to sign his book, Marc decides this might be a good enough reason to move. Also moving from the states to London for medical school with his friend Paola Munoz, Mitchell Davis would love to enjoy his new life, but his past relationship keeps creeping back in. 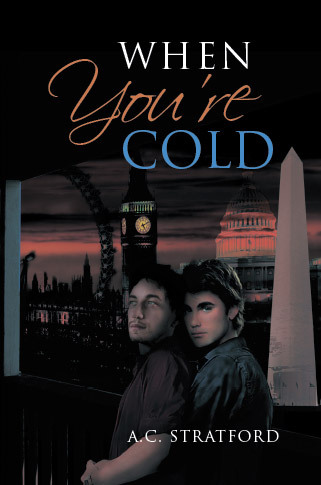 Once Marc moves to London, the two meet up again and regardless of Mitchell warning Marc of his preoccupation with his ex, Marc decides it’s worth a try. But is just ignoring it really the best idea for Mitchell? Meanwhile, Nathaniel Blake never really understood why Mitchell left him back in college. Heartbroken and feeling permanently scarred, how could he trust anyone again? Although on the outside he seems intelligent, confident but maybe a little detached, he can’t seem to get past the pain caused when Mitchell walked out on him. He might be academically smart enough to finish college early, but Nate still struggles with how to not feel like a failure. When he’s faced with a new challenge in his love life, he’s not sure he’s ready to be as honest as he’d like to be. Is he still asking too much of himself or can he really let go?